Google Play credits are like virtual money that can be used to buy hundreds of thousands of apps, games, music, and even books from the Play Store. But you’re reading this because you don’t like paying for Google Play store content because you know there are ways you can get free Google Play credits. Unfortunately, it seems that a lot of the ways to get them require you to take surveys, download a bunch of stuff, or use some kind of useless code generator. 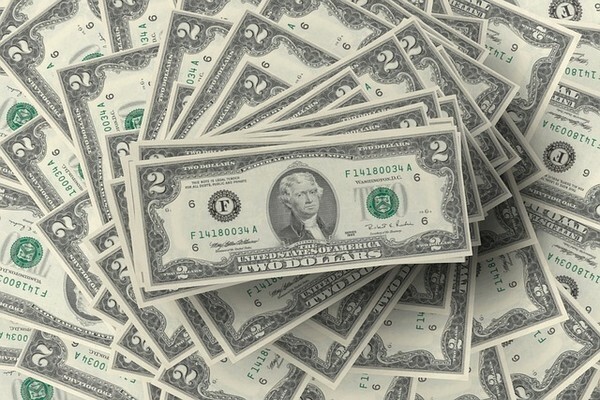 Fortunately, we’ve found a few ways that you can get play credits without doing surveys or downloading heavy software. Did you know that Google Chromecast often features offers, and these are specially created for you? It might depend on when you bought your Chromecast, and it’s certainly worth checking. All you have to do to check is open up the Chromecast app, and connect to your Chromecast from the Devices page. Now when you get to the information screen, you’ll see the three dot menu symbol on the top right. Simply pick “Check for offers” and you’ll be sent to your browser where you’ll find all the available offers. 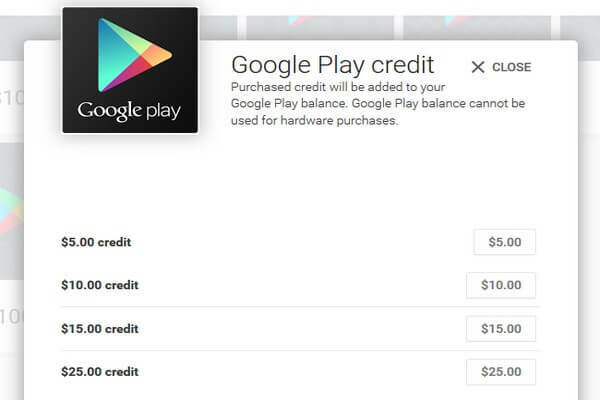 Sometimes you can get as much as $25 in Play Store credit, so make sure you check it out. FreeMyApps is an app that is designed to encourage you to try new apps and gives you rewards for doing so. You can get it on both the iPhone and on Android. Once you login, you’ll see apps and games that are available for download. Download and try them, and the app will reward you with points. You can redeem your points in several different ways, as well as for Google Play credits. Choose from gift cards such as Amazon, or even donate your points to a charity. AppNana is based on a very similar in concept to FreeMyApps. In other words, you register and then you can earn points by downloading and using free apps. Once you have sufficient points, you can redeem them for a variety of prizes, including a gift card for Google Play. Look, maybe you won’t find free apps that appeal to you in either the FreeMyApps or AppNana selections. So here’s another way to try out free apps, and at the same time earn points which you can redeem for things of value. You can find both free apps and games with the TapCash app, and you’ll be rewarded for using them with points that can be redeemed for gift cards for Amazon, Skype, and of course for Google Play, as well as others. With Cubic Reward, all you have to do is try out free apps and games in order to earn points. Once again, perhaps you’ll find some free apps and games on here that you won’t find on the other apps. Once you build up your number of points, you can redeem them for gift cards and even for money, through PayPal. With Cubic Reward, you can get points by logging in each day, and taking part in “events”. So you see you really don’t have to take countless surveys, or even commit to using someone’s software in order to build up your Google Play credits. With the rewards sites listed above, you can pick and choose what apps and games you want to try out, and all the while be building up your points tally, saving for gift cards or even cash. Go ahead and try a couple of them and see how many free Google Play credits you can earn. Google Opinion Rewards is another app that gives you Google Play credit in return for answering short surveys. Thanks for the heads up, Danielle.